From our Fresno, California, law firm location, we provide dedicated legal representation to those injured due to the negligent or careless acts of others. At M&Y Personal Injury Lawyers, we have assisted clients with a range of complex cases, including those involving motor vehicle and trucking accidents, animal bites, burn injuries, brain injuries and wrongful death claims, striving to help them obtain the maximum compensation for their resulting losses. Serving people throughout Los Angeles County, we have law firm locations in Fresno, as well as in Los Angeles, San Jose, Van Nuys, Long Beach, Anaheim, Riverside and San Bernardino. 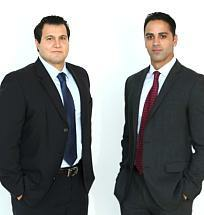 As our clients' advocates, our attorneys aggressively pursue their rights and best interests. We have secured judgments and settlements totaling over $100 million on behalf of our clients. During a free initial consultation, our team gets to know our clients and takes the time to understand how their injuries have impacted their lives. We provide customized counsel, advising people of their rights and options for pursuing financial justice. Our attorneys craft personalized strategies that incorporate our clients' specific needs and goals, staying focused on their best interests throughout the process. At the law firm of M&Y Personal Injury Lawyers, we understand the devastation that the sudden death of a spouse, domestic partner, child or partner due to an accident can cause for those left behind. Our attorneys guide families through the process of filing a wrongful death claim, helping them to recover compensation for the damages they have suffered as a result of their loved ones' deaths. We provide the straightforward counsel our clients deserve and the compassionate assistance they need as they cope with their loss and work to move forward.